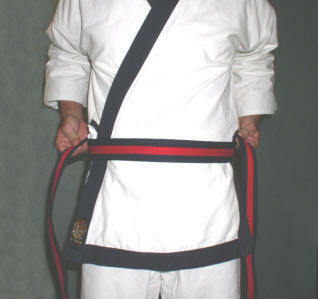 There are two methods used to tie the belt. 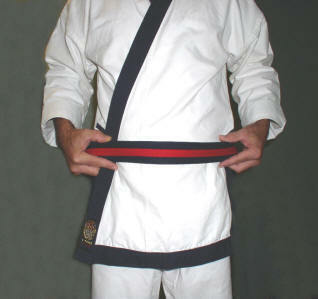 Method 1 is the traditional, most often used and results in the belt crossing over at the back. Method 2 results in a smooth, single line at the back. Both are shown here. 11. 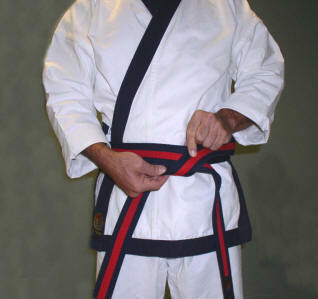 Belt crosses over at rear. 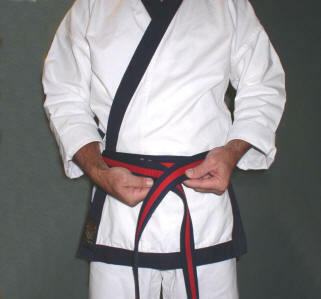 Some schools teach Step # 4 as right side over left first followed by left over right. The only difference is the final knot will be reversed. 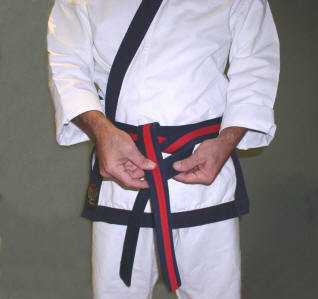 Consult your instructor on which option to use. Stripes must end up on left side of body. 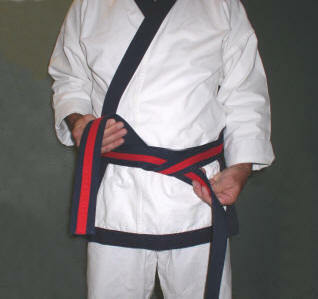 To achieve this, begin with stripe side of belt in your right hand and it will finish correctly.